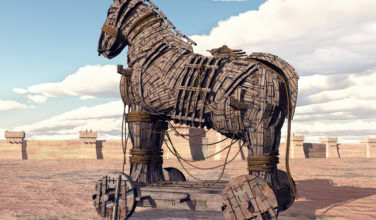 Written by GreekBoston.com in Ancient Greek History Comments Off on Where Was Ancient Greece Exactly? 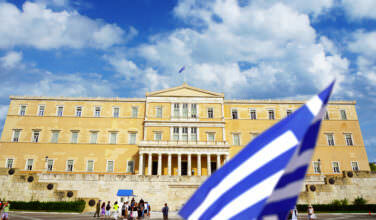 Today, the country of Greece encompasses a very focused area right by the Mediterranean Sea. Ancient Greece was a bit more spread out than that. The people of Ancient Greece were united by a common language and cultural identity. 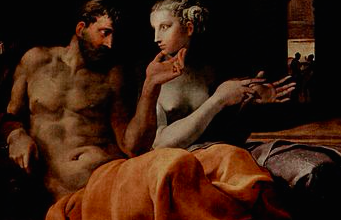 There is some debate as to what, exactly, encompassed Ancient Greece. The most concentrated area is approximately where the country is located today. However, many acknowledge that it could have spanned from Asia Minor, to parts of Northern Africa, and even as far west as Spain. Unlike today’s country, Ancient Greece wasn’t governed as one unified body, at least at first. It wasn’t until Alexander the Great that Ancient Greece became a united empire. However, the area that we acknowledge to be Ancient Greece was actually made up of several self-governing city-states. When the Hellenic people first migrated into the region, they gravitated towards the sea, which provided the people with seafood, and also anywhere that offered enough workable land to grow crops. Prominent city-states include Athens, Sparta, Corinth, and Delphi. Many of these city-states had a specific tribal origin. He portion of Ancient Greece that is now considered the mainland of modern-day Greece can be divided into two basic parts. The northern region was just above the Gulf of Corinth and the southern region was below the gulf. 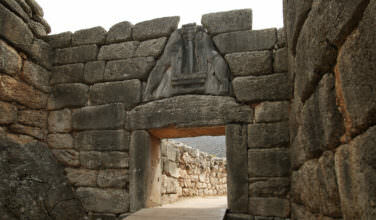 Northern Greece was fairly small and the most notable portion of it was Delphi, home of the famous oracle in mythology. Southern Greece is where both Sparta and Athens were located. At one point, these were the two most prominent city-states in Ancient Greece. There are some parts of Ancient Greece that were actually considered colonies. Around the seventh and eighth centuries B.C., the people became interested in expanded their opportunities. So, they settled in areas of southern Italy, France, and Spain in an effort to foster economic expansion. This area is now referred to as Magna Graecia. There were also colonies that were established in certain places in northern Africa, such as Libya and Egypt. Asia Minor, which is located in southwest Asia, was also part of Ancient Greece. Today, most of it is now the country of Turkey. Greek speaking people began settling in this region around the eighth century B.C., around the same time as they moved westward into Magna Graecia. After Alexander the Great pushed the Greek Empire further east, the entire region was opened up to colonization. In the early days of Christianity, Constantinople, now Istanbul, was the capital of the Byzantine Empire. 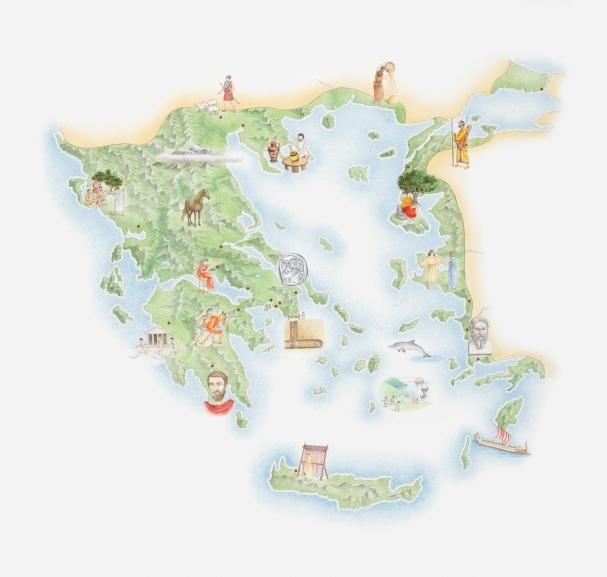 There are several islands that had the biggest impact on Ancient Greek history. Many of these islands are popular today as tourist destinations. These are the Cyclades, Crete, Rhodes, Lesvos, Samos, and Cyprus, which is currently its own nation. These islands were inhabited early on in Greece’s history. For example, Crete was the home of the ancient Minoan Civilization. As you can see, Ancient Greece makes up a large area. This can help you visualize things better when learning about Ancient Greek history.